You are here: Home / Yamaha Digital Pianos / Yamaha P-515 vs Yamaha P255: Worthy Successor to the P255? Yamaha has been making fantastic digital pianos for years, and with the release of the Yamaha P-515 (which actually replaces the Yamaha P255), you might be wondering if the P-515 is a worthy successor to what was considered one of the top digital pianos on the market (especially in the Yamaha P series of digital pianos. This article aims to help you determine whether or not the P-515 is worth your money, or if sticking with the P255 is the better option. And to better help you decide, please use the interactive guide below, which allows you to compare these two digital pianos against one another (as well as other notable pianos on the market). 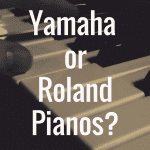 What Does the Yamaha P-515 Offer? 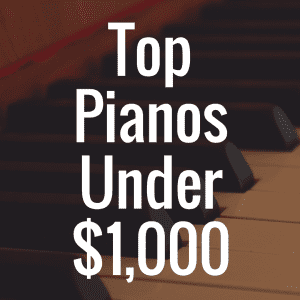 The Yamaha P-515 can be had for roughly $1,500, and while this price may seem a bit steep on the surface (especially if this will be your very first digital piano), do note that Yamaha is one of the best digital piano brands on the market. Therefore, going with a pricier model with more features means that you will be able to grow with your digital piano instead of outgrowing it. As I mentioned earlier, the Yamaha P-515 is a part of the brand’s P-series; weighing in at 48 pounds, this digital piano is extremely portable. It is lightweight enough to transport between gigs, which will appeal to people who are currently stage musicians and to those who may want to try their hand at performing live later on down the road. The Yamaha P-515 has a Natural Wood X (NWX) keyboard. This keyboard is a graded hammer action keyboard, which means that the keys feel lighter in the digital piano’s high end and heavier in its low end. The material for Yamaha’s NWX keyboards is cut from wood that has been carefully dried and that was selected for the crafting of musical instruments. The NWX keyboard also has an escapement mechanism. In an acoustic piano, the escapement mechanism makes it possible for the hammer to fall away from the string after a key is pressed. After a player presses a key, the hammer temporarily escapes from the key so that it can strike the string and then fall away from it, thus allowing the string to continue to vibrate freely. On the Yamaha P-515 (and on acoustic pianos), the escapement mechanism is only detectable when a keyboardist plays extremely softly. Although this mechanism’s impact is not always heard, it does help to flesh out the P-515’s sound and adds realism to it. Musicians who own or who have played multiple Yamaha digital piano models have noted the realistic feel of the NWX keyboard, and they feel as if playing on the Yamaha P-515 or another Yamaha model with this type of keyboard prepares players for playing on an acoustic piano. See what musicians are saying about the NWX keyboard here. The Yamaha P-515’s keyboard was also built with enhanced Virtual Resonance Modeling (VRM). This feature calculates the state of the strings for each of the instrument’s 88 notes as well as the timing and depth at which the damper pedal is being pressed in order to recreate an acoustic piano’s sound. Enhanced VR calculates the resonance of the digital piano’s soundboard, rim, and frame and calculates the upper register’s aliquot resonance. The aliquot stringing method involves using extra strings that are not struck in an acoustic piano’s upper register in order to enhance the piano’s tone. These extra strings vibrate in sympathy with the other strings inside of an acoustic piano, which adds richness, brilliance, and resonance to the sound. Because these strings do not have a damper, they continue to sound after a player removes their hands from the keyboard. By recreating aliquot resonance in the P-515, Yamaha brings an incredible reproduction of an acoustic piano’s sound to musicians at an affordable price. The Yamaha P-515 contains an astounding 500+ onboard sounds including samples of Yamaha’s flagship CFX concert grand piano and the Bösendorfer Imperial grand piano. Thus, players can have the sounds of two of the greatest available grand pianos at their fingertips, and they can experiment with other sounds to perform and create music in a variety of genres and styles. Additionally, players can split the keyboard between two voices to play one voice in the upper register and another voice in the lower register, and they can also use the layer function to overlay voices in order to play two sounds simultaneously. These functions allow players to create sound combinations for live performances or to spark creativity in songwriting sessions. This digital piano has six different types of reverb, which allows players to either subtly or dramatically change their sound depending on the type of reverb they choose. Players can make it sound as if they are playing in a concert hall while they play in their studio apartment, for example. The Yamaha P-515 has 256-note polyphony, which is very impressive. With this amount of polyphony, musicians can play and sustain many notes at a time, apply reverb to the digital piano’s sound output, and split or layer sounds without worrying about note dropout. The P-515 has a Piano Room feature that lets players save their own favorite piano-playing settings. Players can instantly call up their performance settings with the press of a single button. You can customize your sound by saving parameters like lid position, damper resonance, touch response, and string resonance. The Yamaha P-515 can connect to technological devices via USB, but it also has Bluetooth connectivity. With Bluetooth, P-515 users can connect wirelessly to nearby devices and even play audio through the digital piano’s speakers. This is especially handy for playing along with video tutorials. The Yamaha P-255, especially at this state, can probably be had for quite a bit less than $1,500. Remember, the P-515 is the successor to the P-255, so there’s absolutely no reason you should pay the same amount for the P255 as you would for the P-515, as the P255 is essentially a discontinued model.. The P-255 weighs in at 38 pounds, so it is a bit lighter than the P-515. Thus, this particular Yamaha model may be easier to carry and transport to and from gigs. The Yamaha P-255 has a Graded Hammer (GH) keyboard. Like the Yamaha P-515’s NWX keyboard, the P-255’s GH keyboard is graded like an acoustic piano’s keyboard and the keys are made with slip-resistant material. 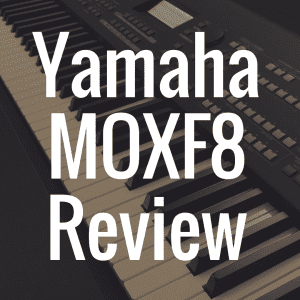 However, players have noted that the NWX keyboard feels a bit more realistic than the GH keyboard, so the Yamaha P-515 might better prepare players for playing on an acoustic piano. The Yamaha P-255 contains 24 onboard sounds, a drastic decrease from the Yamaha P-515. Additionally, the piano voices were built with Yamaha’s Pure CF Sound Engine. 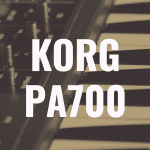 These voices contain key-off samples, sustain samples, and sustain resonance samples. Key-off refers to the slight change in sound that occurs when a player lifts their fingers from the keys. The P-255 uses different key-off sounds for staccato and legato playing so that the key-off sounds blend with the dynamics of what is being played. When the damper pedal is used, the resonance of the acoustic piano’s soundboard and strings can be heard. This is referred to as sustain resonance. The Yamaha P-255 reproduces this resonance by responding to how far down the musician pushes the damper pedal. Finally, string resonance is the sound of the piano’s strings resonating in sympathy with a string that has been struck. The Yamaha P-255 reproduces this resonance, too. These features, although they seem insignificant, add up to flesh out the piano sounds that the P-255 has to offer. By producing a more realistic recreation of an acoustic piano, this digital piano helps its users to feel as if they are playing a world-class acoustic piano. The P-255 has 256-note polyphony just like the P-155. As such, owners of this digital piano can play to their heart’s content without worrying about note dropout, too. The Yamaha P-255 has four types of reverb–just two less than the P-155. This probably won’t make that much of a difference to most players. 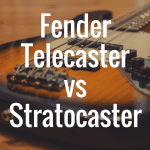 If you know that you plan on applying reverb to your playing pretty often, try out both and see if you actually need additional reverb types. This digital piano has MIDI and USB connectivity capabilities, but it does not have Bluetooth. For those who prefer a wireless connection, the P-515 may be the way to go. 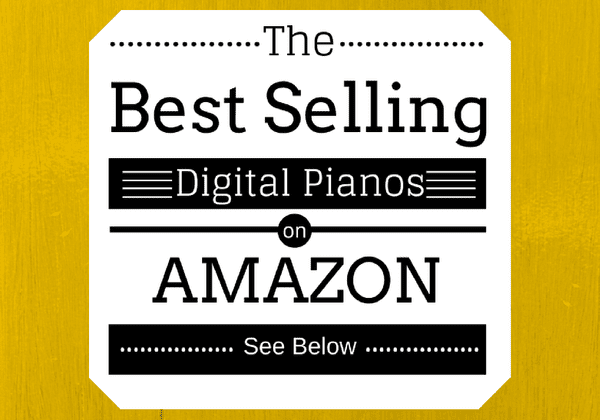 Both of these digital pianos are the same price, so it ultimately comes down to the features that you want or need. The P-255 is a bit more portable than the P-515, so the P-255 is the victor in the portability category–although, not by much. Still, the P-515 offers a more realistic keyboard, a more realistic sound, and more sounds overall. Thus, this digital piano makes the eventual transition to playing on an acoustic piano a bit easier. Players will be used to the feel of the keys and their weight by the time they get their hands on an acoustic piano. Of course, not everyone wants to move on to an acoustic piano, so the P-255 will work for those who want weighted keys but don’t necessarily want to recreate the experience of playing an acoustic piano. These days, nearly everything can be connected wirelessly, so why should your digital piano be any different? The P-515 offers a Bluetooth connection, which basically allows the digital piano to be used as a sound system. The P-255 can be connected to other devices, too but only via USB and MIDI. The option to use Bluetooth on the P-515 makes it really easy to connect to your computer, smart phone, or other smart device, so the P-515 wins out over the P-255 in regard to connectivity. The P-515 is definitely the winner here. It has more to offer players than the P-255 despite being the same price. With the P-515, players can feel as if they are playing an acoustic piano because of the sound quality and the feel of the keyboard itself. Although this digital piano feels and sounds very much like an acoustic piano, it offers all of the benefits of a digital piano, too. Players can mess around with over 500 sounds and can even combine these sounds by splitting or layering them. The P-515’s best feature is its Bluetooth connectivity. This digital piano can be used to play audio from other devices. 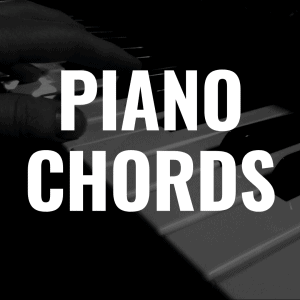 Many pianists learn to play complicated pieces by watching YouTube tutorials or by playing along with a song, so this feature will certainly be useful when practicing. And lastly, the P-515 is the successor to the P255. So you can expect that they took most of everything that was a massive success with the P255 and just built on top of it to make the P-515 even better. If you enjoyed this article, please “like us” on Facebook! You can also read my full review of the Yamaha P-515 here!